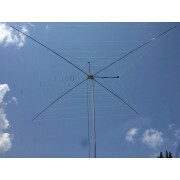 This eight-band (40, 30, 20, 17, 15, 12, 10, 6 Meters) full half-wave and 1500 Watt Cobweb Antenna is perfect for restricted space or portable operation. Sky-gray fiberglass spreaders and nearly invisible wire elements blend in with your surroundings while standing tough against nasty weather. Outstanding performance! 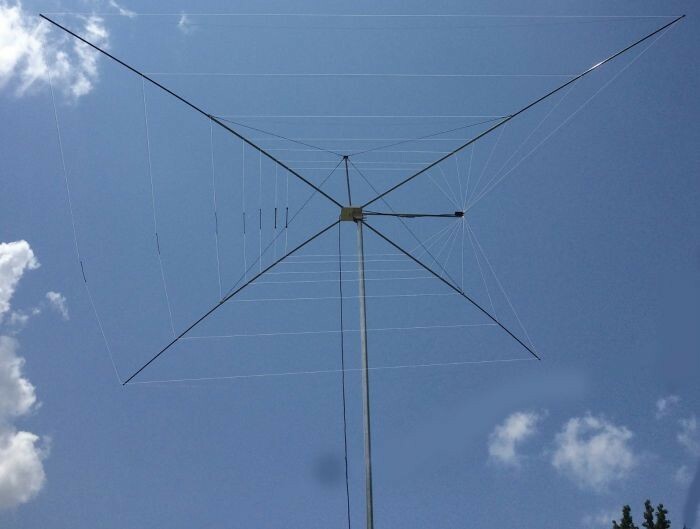 Horizontally polarized for less local noise pickup plus solid gain over verticals will allow you to work DX easily -- even on QRP. Omni-directional. No radials needed! Works great at low heights. Low SWR is due to MFJ’s exclusive Spider-MatchTM broadband network. Use lightweight TV hardware to mount on your chimney, balcony, mast. Built to survive harsh northern winters, heavy snow, ice and strong winds -- has super-strong large diameter fiberglass and heavy-duty 14 gauge stranded hard copper wire.